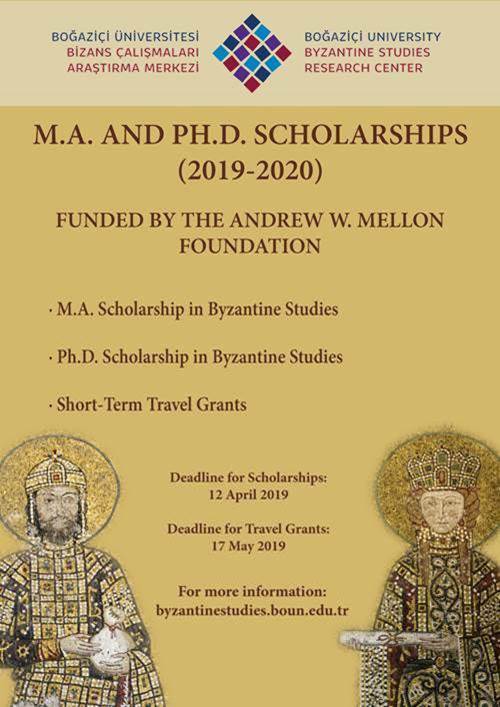 Applications are now open for the 2019-2020 Andrew W. Mellon M.A. /Ph.D. 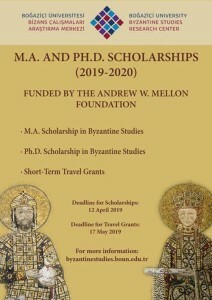 scholarships and short-term travel grants offered by the Bogazici University Byzantine Studies Research Center. For more information please visit http://byzantinestudies.boun.edu.tr/index.php?page=events&id=40.